Call out employees that achieve positive results. While the focus should be on professional victories, noting personal wins builds a more concrete bond within the office. It is important to note that any personal wins should be OK’ed with the employee before public mention. 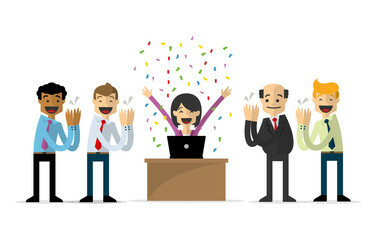 Private recognition for professional victories is fine, but by publicly recognising great work, the employee feels valued and appreciated by the entire office. Public recognition is a reward in itself. Call out success stories to recognise individual or team achievements and motivate your workplace to continue reaching goals.